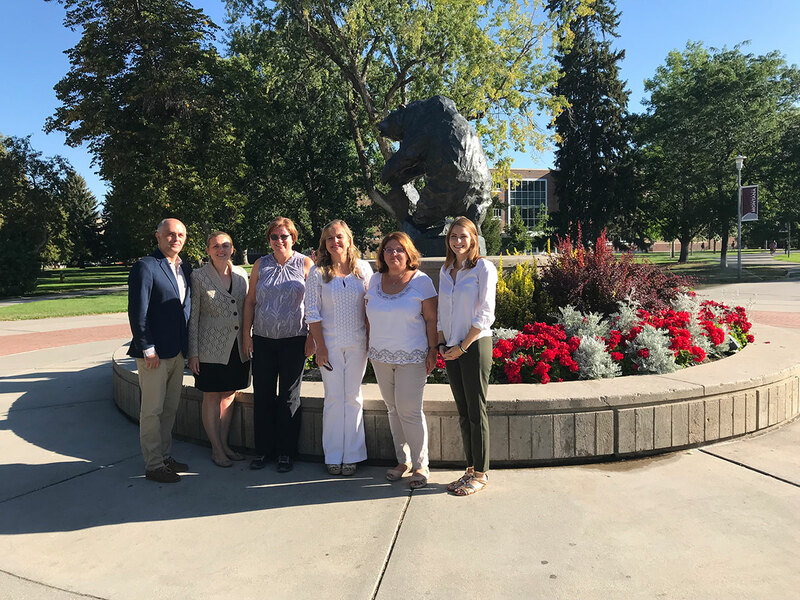 University of Montana (UM) welcomed delegates from three of UM’s Partner Institutions last month. Visits from Partner University delegates strengthen our partnerships and provide collaboration opportunities within specific colleges and schools. From September 7th to 17th Marilyn Marler, Natural Areas Specialist at UM, welcomed a delegation of colleagues from Vietnam Forestry University (VFU2) and Dong Nai Biosphere Reserve (DNBR). The delegation included the director of VFU2, Dr. Huong Vu, and three other faculty members from the university; Dr. Ha Hquyen, and Ms. Tien Van, Ms. Nguyet Fam. Additionally, the delegation included two Vice Presidents from the DNBR, Ms. Huong Dinh and Mr. Tam Minh. Ms. Marler, herself, has traveled to Vietnam four times in recent years through various fellowships and teaching opportunities and has built close relationships with VFU2, DNBR, and Cat Tien National Park during her trips. The relationships are tied by a shared interest between the organizations in forestry, wildlife conservation, tourism, and restoration. The visit by the delegates was made possible with support from the Dial-Drollinger Family Foundation, UM’s Office of Research and Sponsored Programs, Environmental Studies, and the School of Forestry. Marilyn’s goal for this visit was to allow the delegates to experience the natural setting of Montana and to give them a better understanding of how National Parks operate in the United States. Additionally, there is a desire between UM and the Vietnam Forestry University to plan for the future exchange of undergraduate students. One of the highlights of the visit was a group seminar on campus that hosted around 50 people for a discussion about conservation issues and future collaborations between the institutions in the areas of education and research. The seminar was mostly in Vietnamese, with translations provided by UM Professor Quan Ha. 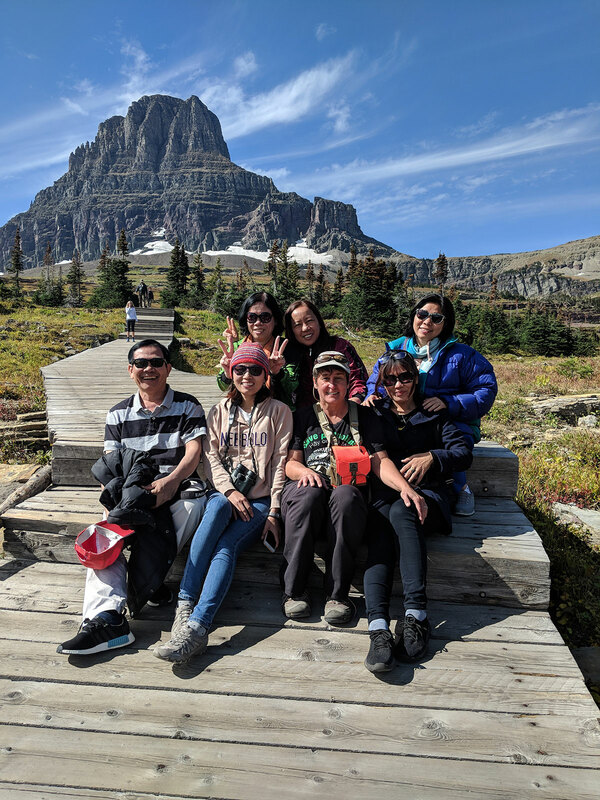 The delegates also traveled to Yellowstone and Glacier National Parks and their trips included discussions about the challenges with tourism and National Park management. The Global Engagement Office was lucky to welcome two delegates, Silvia Cristina Marginean, Dean of the Faculty of Economic Sciences, and Remus Brad, Professor of Computer Science, from our Partner Institution University Lucian Blaga (ULB) in Sibiu, Romania on September 5th. The two delegates were hosted by partnership founder Simona Stan, Associate Professor of Marketing at UM. The partnership began in 2014 with a summer study abroad course led by Dr. Stan. Overall, 45 students from UM have traveled to Sibiu on summer study abroad trips, 5 students have completed semester long exchanges, and 20 members of faculty and staff have traveled and worked between the two universities. The delegates met with members of their respective departments in order to work on furthering the partnership between the two institutions and to discuss future collaborations. ULB offers many courses in English, including a Romanian language and culture crash courses, due to their participation in the European Union’s Erasmus program. Our partnership with ULB is extremely beneficial for UM students because the faculty and staff in Sibiu are equipped to provide UM students with internship opportunities. A number of UM students have completed internships at ULB and in the greater city of Sibiu, all made possible through the strong partnership between the two universities. Katy Clark from the University of Waikato’s Study Abroad and Exchange Office spent a day at the University of Montana on September 11th. University of Montana and University of Waikato (UW) began their partnership in 1997, and have exchanged 19 students over the past 21 years. Katy spent the day visiting multiple departments on campus including Environmental Studies, Native American Studies, and Business, and spoke with those departments about class offerings and potential future partnership and program development. She also had the chance to take a tour of campus with one of our enthusiastic UM student advocates and saw some unique University of Montana landmarks including the iconic T-rex skull and the remnants of last year’s prank pumpkin, still sitting on top of University Hall. One of the most unique aspects of the partnership between UW and UM is the joint importance placed on the study of indigenous cultures. UW has the largest population of Maori students of any University in New Zealand and is hosting the annual Native American and Indigenous Studies Association (NAISA) conference in 2019. UW will be the first institution outside of North America to hold the largest scholarly indigenous studies conference in the world, which some members of the University of Montana faculty will be attending. Some UW and UM faculty in indigenous studies have substantial professional relationships with one another, creating a strong bond for the hopeful future expansion of collaboration specifically in the area of indigenous studies.